Great For Super Exercises That Are Proven To Workout Your Body! This Unit Can Be Used As A Sit Up Bar Or A Chin Up Bar Depending On Your Configuration. Works On The Basis Of Placing The Bar Between Two Brakets That Are Firmly Fixed To The Inside Of A Solid Door Frame. 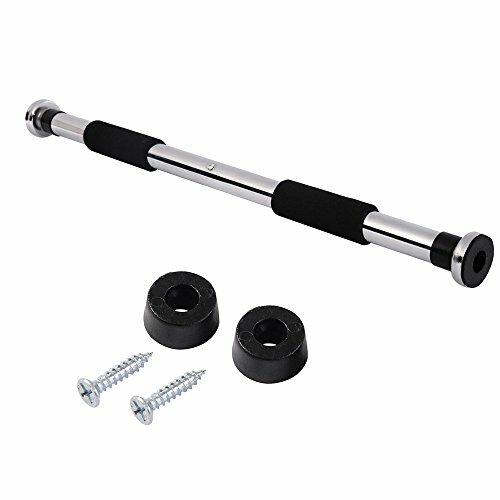 The Doorway Chin-Up Pull-Up GYM Bar Is Not Only Perfect For Chin-Up Exercises But It Can Also Be Used As A Foot Anchor For Sit-Ups And Crunches. 2.Please Consider The Weight Capacity Before Using. 3.The Bar Can Be Fixed Between The Door Frame Either With Or Without Screws Into The Wall. If you have any questions about this product by pittayadomeshop, contact us by completing and submitting the form below. If you are looking for a specif part number, please include it with your message.